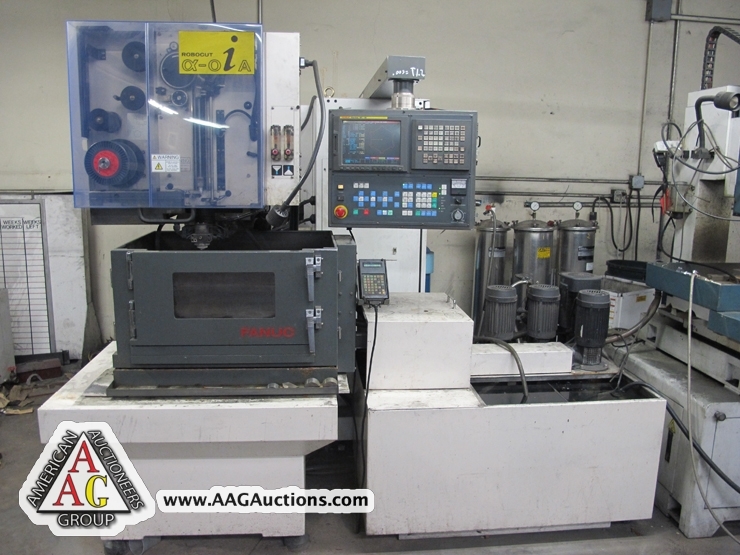 2000 FANUC ROBOCUT CNC WIRE EDM, WITH FANUC 18i-W CONTROL, S/N 00Z0I933. 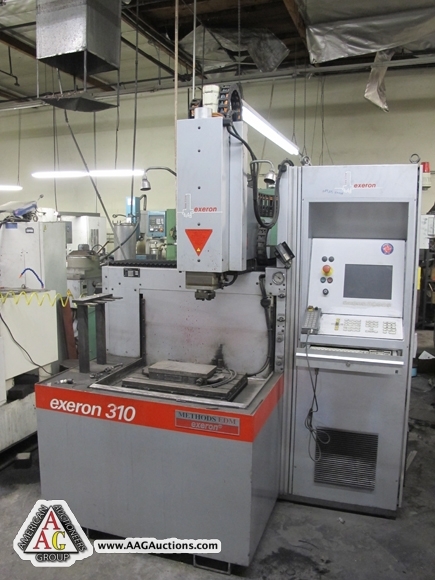 2002 METHODS MODEL EXERON 310 CNC EDM SINKER, WITH NEW LINE CNC CONTROL, S/N 2155. 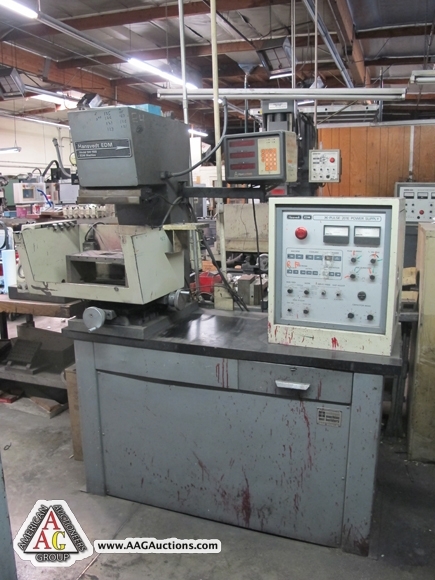 2000 MITSUBISHI EA-8 CNC SINKER EDM, WITH FP60EA CONTROL, S/N 00A8153. 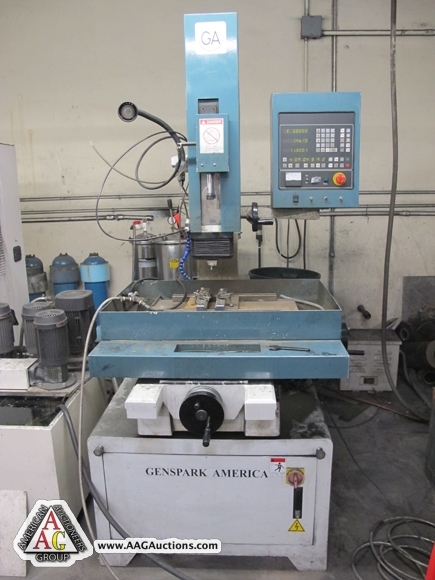 2000 GENSPARK EDM HOLE POPPER MODEL TD25ZNC, PROGRAMMABLE, S/N 255009. 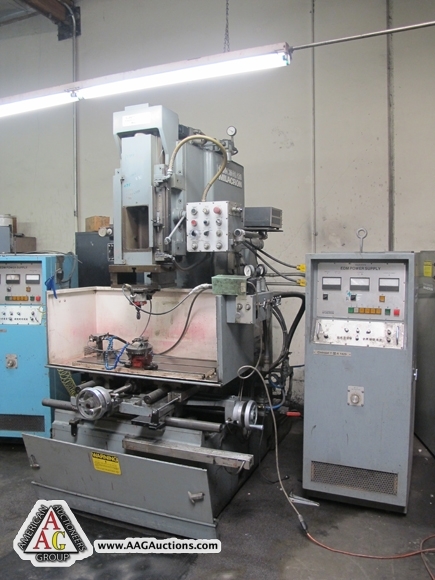 HANSVEDT MODEL CINTROJET SM-10E SINKER EDM, ANILAM 2 AXIS CONTROL, WALKER CHUCK. 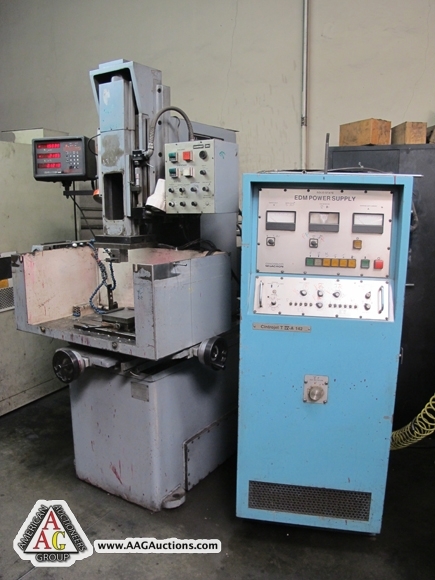 HANSVEDT MODEL CINTROJET IV-A-142 SINKER EDM, 3 AXIS DRO. HANSVEDT MODEL SM-150B SINKER EDM WITH PULSE 201E CONTROL. AGIE WIRE EDM WITH AGIETRON CNC 100 CONTROL. HITACHI MODEL H-CUT304N CNC WIRE EDM WITH FANUC 6M CONTROL. 3) CINCINNATI ELECTROJET 10E SINKER EDM’S. 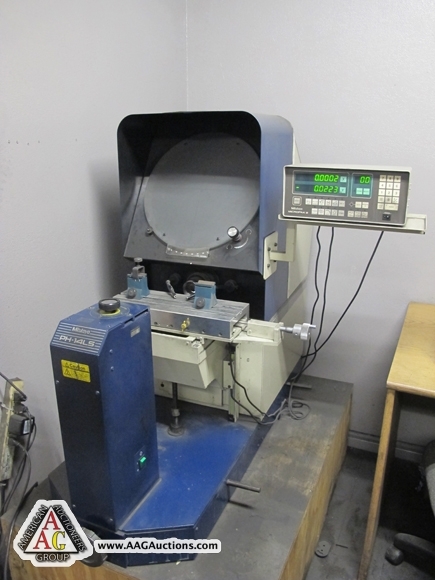 MOLDMASTER MODEL M-45B SINKER EDM, WITH MOLDMASTER CNC CONTROL. 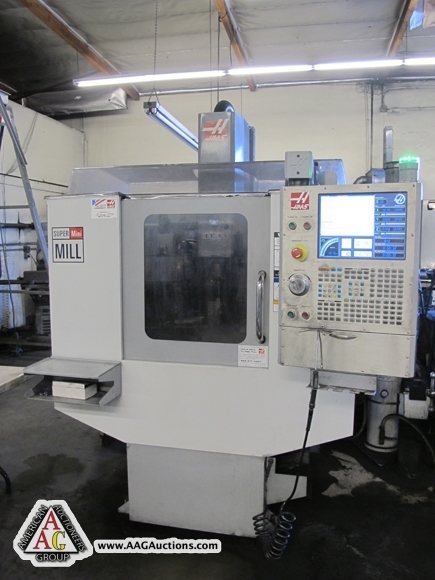 2006 HAAS SUPER MINI MILL, CNC VMC, CT-40, 10 ATC, 16’’ X 12’’ X 10’’ (XYZ), S/N 1053376. 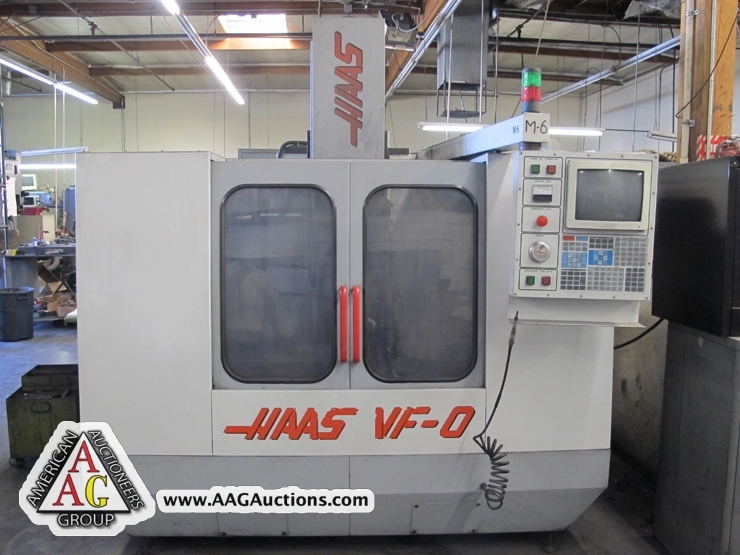 1995 HAAS VF-O CNC VMC, CT-40, 20 ATC, 20’’ X 16’’ X 20’’ (XYZ), 7500 RPM, S/N 4468. 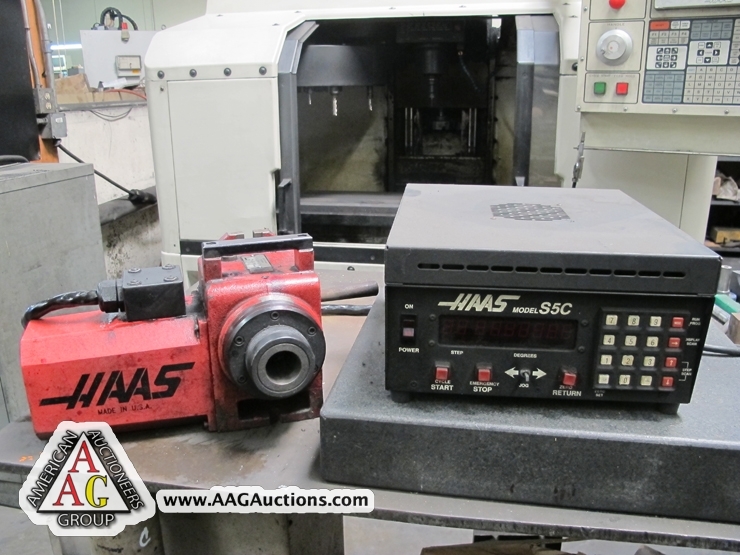 1993 HAAS VF-0 CNC VMC, CT-40, 7500 RPM, 2O ATC, 20’’ X 16’’ X 20’’, (XYZ), S/N 2538. 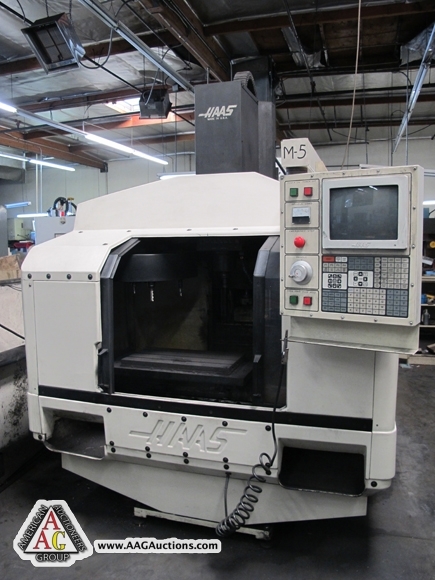 2) HAAS 5C 4TH AXIS ROTARY TABLES. GROB 18’’ VERTICAL BAND SAW MODEL 4V-18, WITH BLADE WELDER. 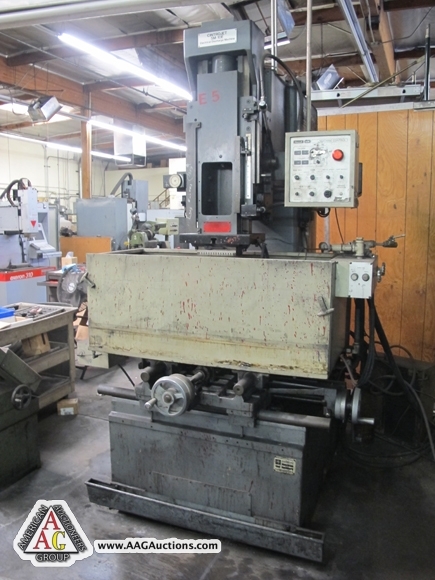 BRIDGEPORT VERTICAL MILLING MACHINE, 9 X 42, VAR SPEED, 2 HP, DRO. LAGUN FT-1 VERTICAL MILL, 9 X 48, WITH P.F., DRO. LAGUN CNC KNEE MILL WITH ANILAM CRUSADER II CONTROL. 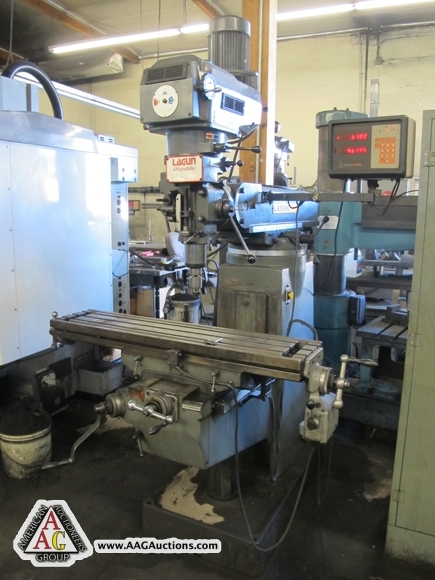 ANILAM 14’’ X 22’ CNC LATHE WITH FLAT BED, ML ANILAM CONTROL. 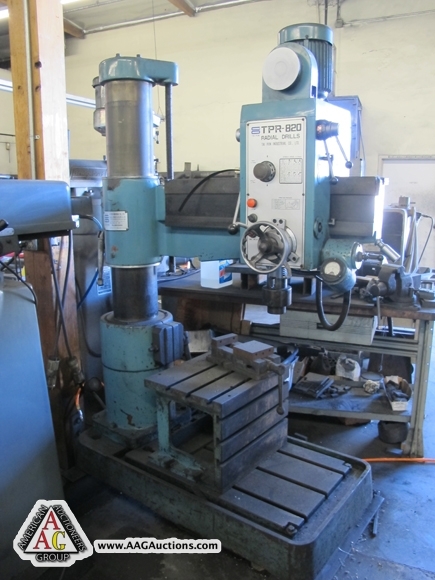 TAI PIN TPR-820 RADIAL DRILL PRESS, 24’’ ARM. 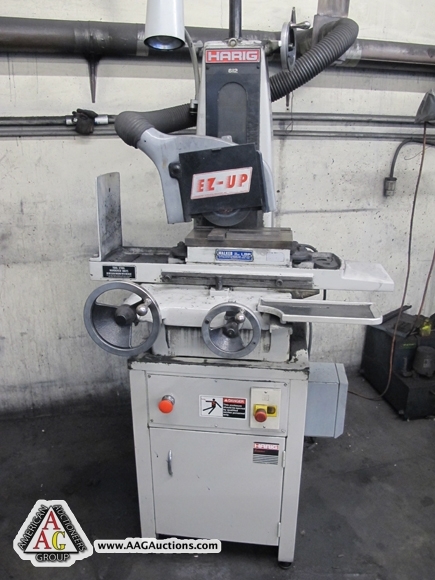 CAROLINA HD10 HORIZONTAL BAND SAW. 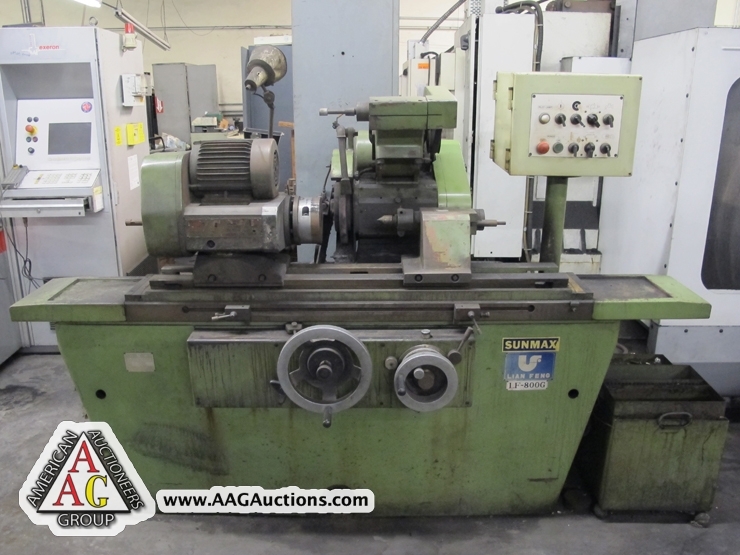 LOGAN 14 X 40 ENGINE LATHE WITH TAPER ATTACHMENT. 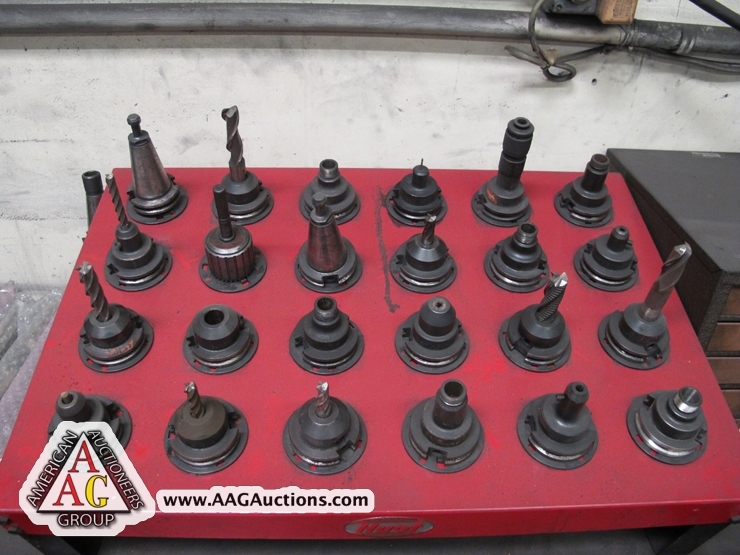 100’S OF PRECISION TOOLS, INSPECTION TOOLING, EDM TOOLING, GAGES, MICS, ROTARY TABLES, ANGLE PLATES, COLLETS, VISES, BLOCKS, SINE PLATES, VARIOUS GRINDING DRESSING TOOLS, DIVIDING HEADS, AND ETC. 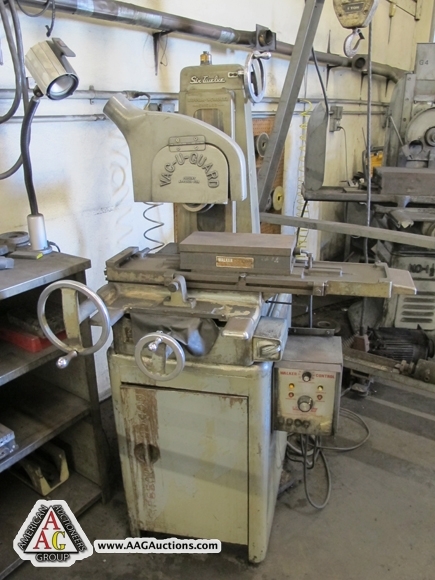 BOYAR SCHULTZ 612 SURFACE GRINDER WITH ELECTO MAG CHUCK. 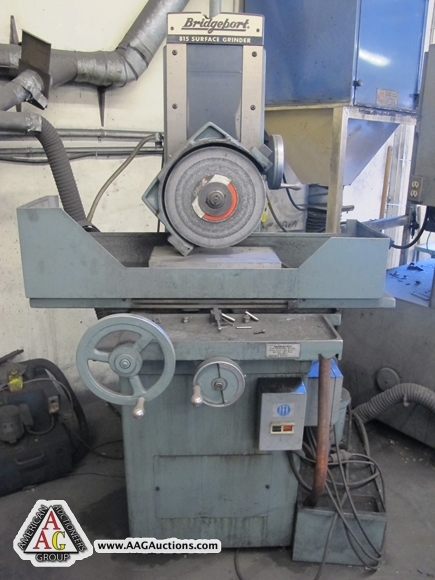 ABRASIVE 1 ½ SURFACE GRINDER. 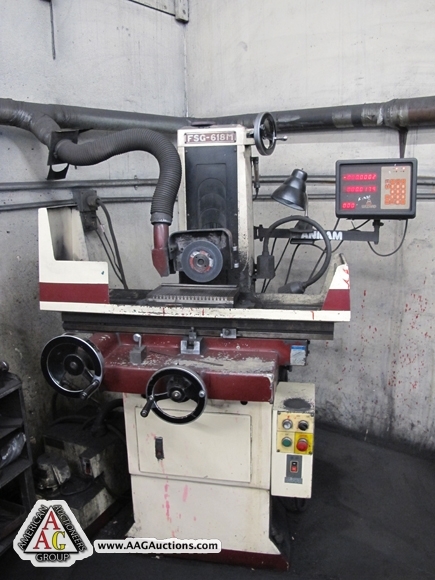 CHEVALIER 6 X 12 MODEL FSG-618M, SURFACE GRINDER WITH DRO. BRIDGEPORT 8 X 15 MODEL 815 SURFACE GRINDER, 12’’ WHEEL. 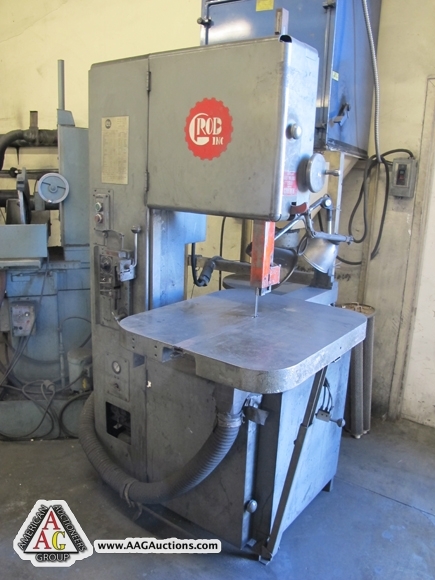 SUPERMAX 12’’ X 24’’ MODEL LF-800G UNIVERSAL OD/ID GRINDER, S/N 15174. 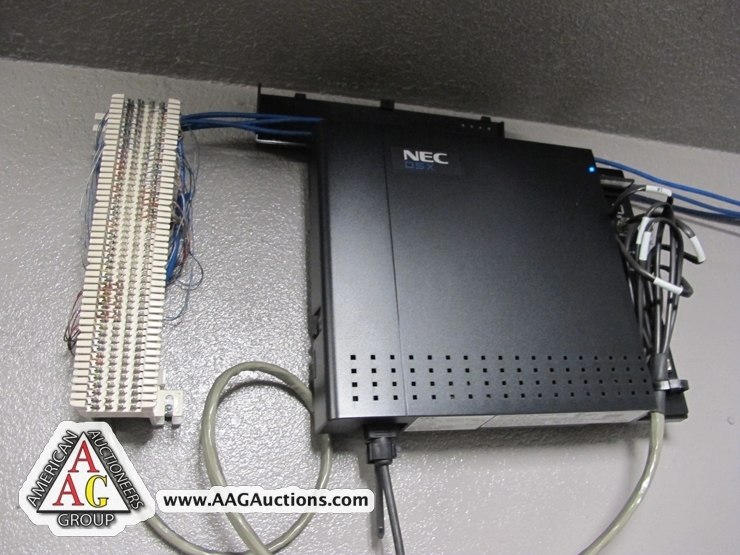 MITUTOYO 14’’ MODEL PH-4LS OPTICAL COMPARATOR WITH MICROPAK 2 CONTROL. 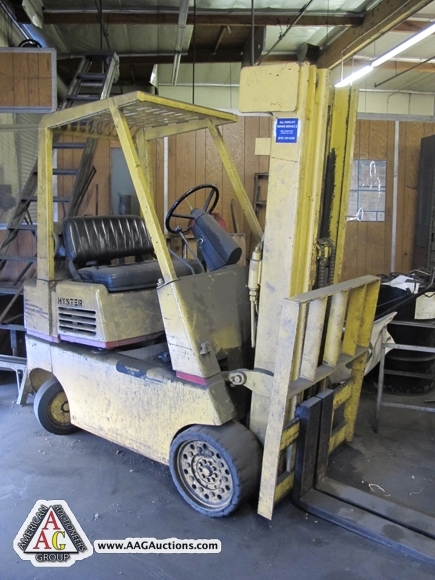 HYSTER 5000 LB LPG FORKLIFT MODEL S50. QUINCY 5HP VERTICAL AIR COMPRESSOR.